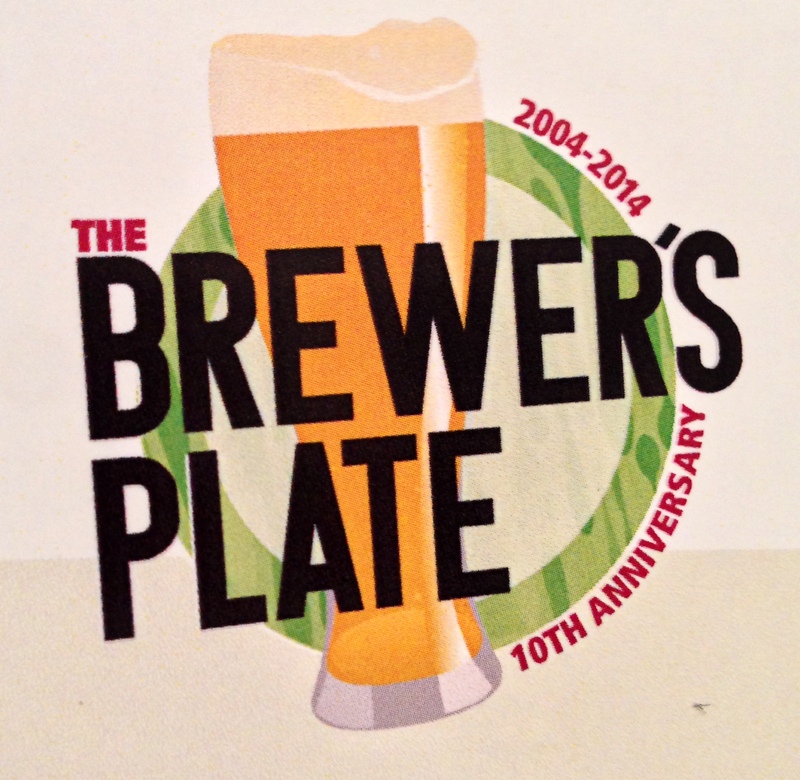 Celebrating its 10th anniversary, Brewer’s Plate gathered brewers, chefs, farmers, distillers, and food artisans to thrill the taste buds of the attendees at the Kimmel Center on Sunday, March 9. 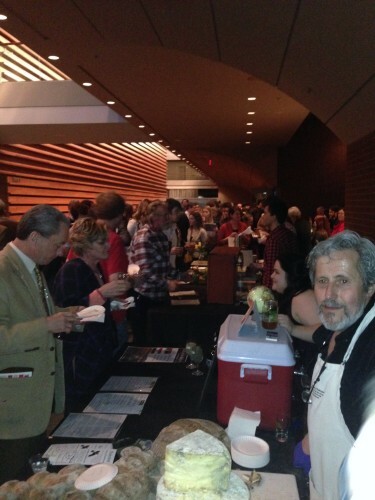 Hosted by Fair Food and Rolling Barrel Events, this unique local food and craft beer pairing event featured nearly 50 vendors on the main level and 20 nano-breweries and small batch food artisans unique to the VIP Locavore Lounge. 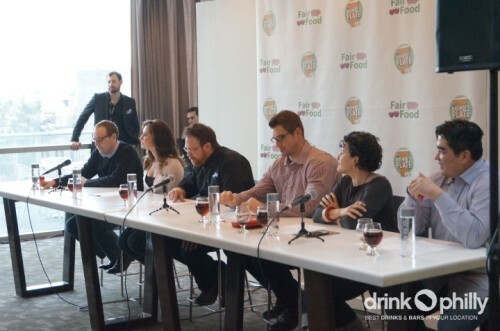 The VIP experience this year was highlighted by a Sausage Showdown, where Iron Chef Jose Garces, Philadelphia Eagles’ Brent Celek, Food Network’s Marc Summers, and other judges presided over a competition to see who had the most creative sausage and beer combination as well as the best sausage. Following in the footsteps of creating unique combinations, VIP access also included a collaboration between Victory Brewing Co. and Sam Adams. They teamed up to produce a dry Irish Stout brewed with oats and hopped with English East Kent Goldings and Spalt Select noble hops. 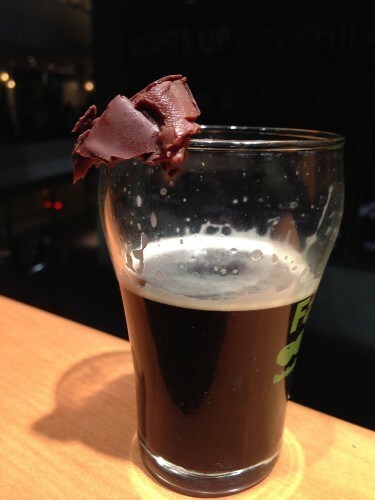 John and Kira’s offered a fantastic coffee and whiskey chocolate which perfectly complemented the taste and mouthfeel of the collaboration stout. 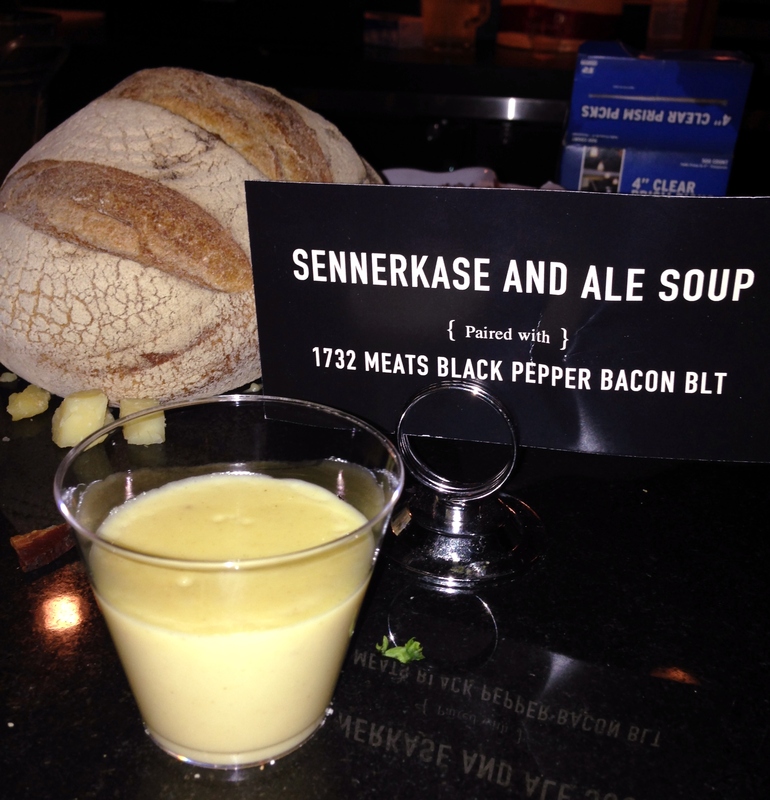 DiBruno Brothers led with a Sennerkase and Ale soup featuring 1732 Meats’ Black Pepper Bacon BLT, which was unexpectedly divine with its melding of flavors surprising even its chef. 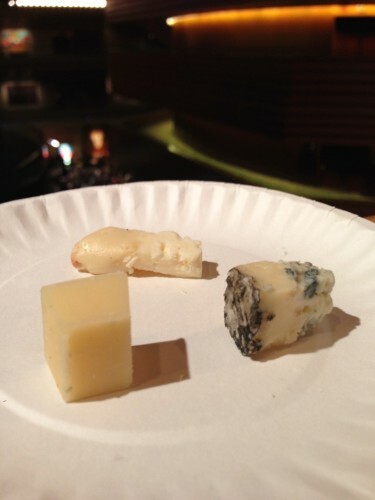 They also offered a full cheese board and were adjacent to Subarashii Kudamono, leading to a surprisingly tasty pairing of the Sennerkase with Asian Pear Wine. 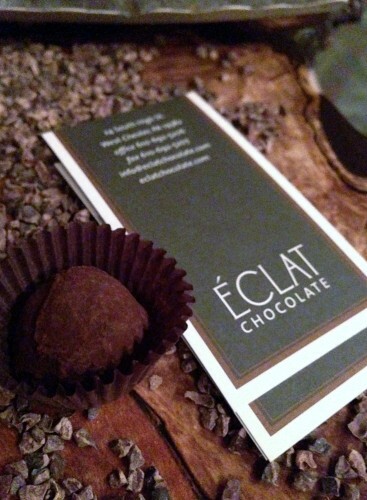 Eclat Chocolate offered a silky smooth chocolate covered caramel, as well as decadent chocolate truffles made from the same Peruvian Pure Nacional chocolate as the devilishly delicious and expensive Good & Evil bar. 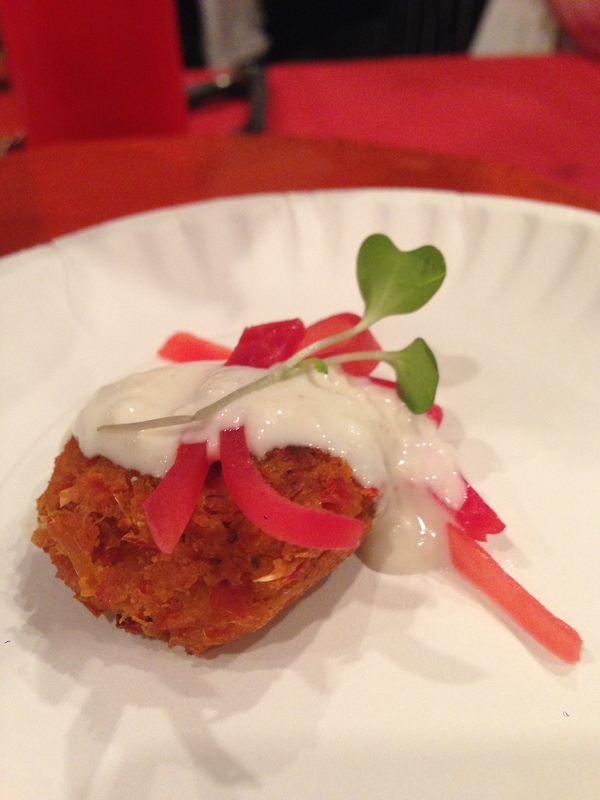 Miss Rachel’s Pantry put together a delectable vegan fried artichoke cake with bright shaved roasted beets and mild horseradish aioli. 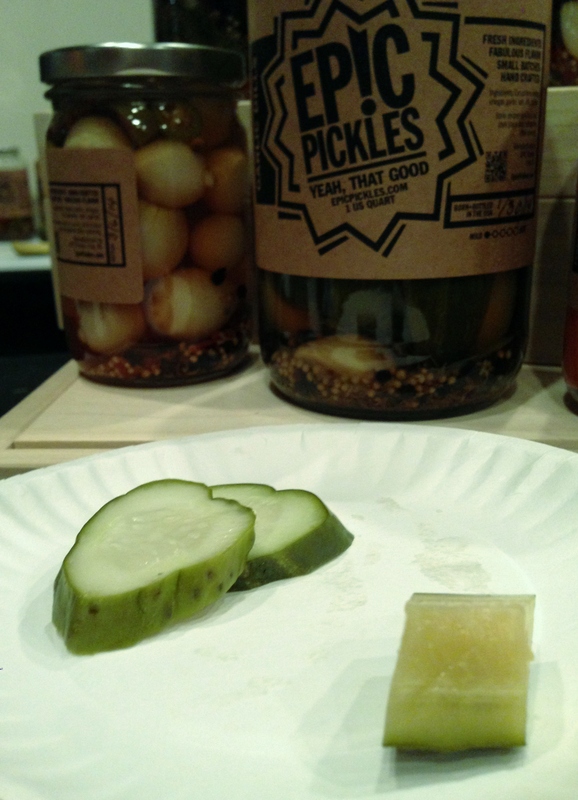 Epic Pickles served garlic slices and brought heat with scorpion pepper-tinged spears. 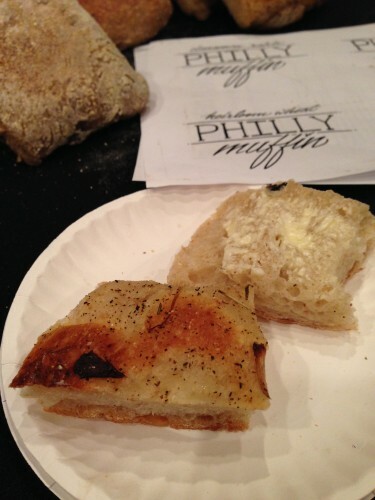 After experiencing the burning sensation, Philly Bread’s original “muffin” with butter and the foccacia bread extinguished the fire. Russet put together a duck terrine with house-made cherry mustard on buttermilk toast. The cherry mustard provided a slightly sweet and tart complement to the duck terrine on the rich crispy square of bread. Birchrun Hills Farms put together a cheese plate composed of three cheeses: the creamy Equinox, which was just perceptibly sweet and salty; the multi-textured Fat Cat, a natural rind raw milk semi-sweet that was earthy and tangy with a grassy finish (and our favorite cheese); and the Birch Run Blue, a mild, sweet blue cheese with hints of pepper. 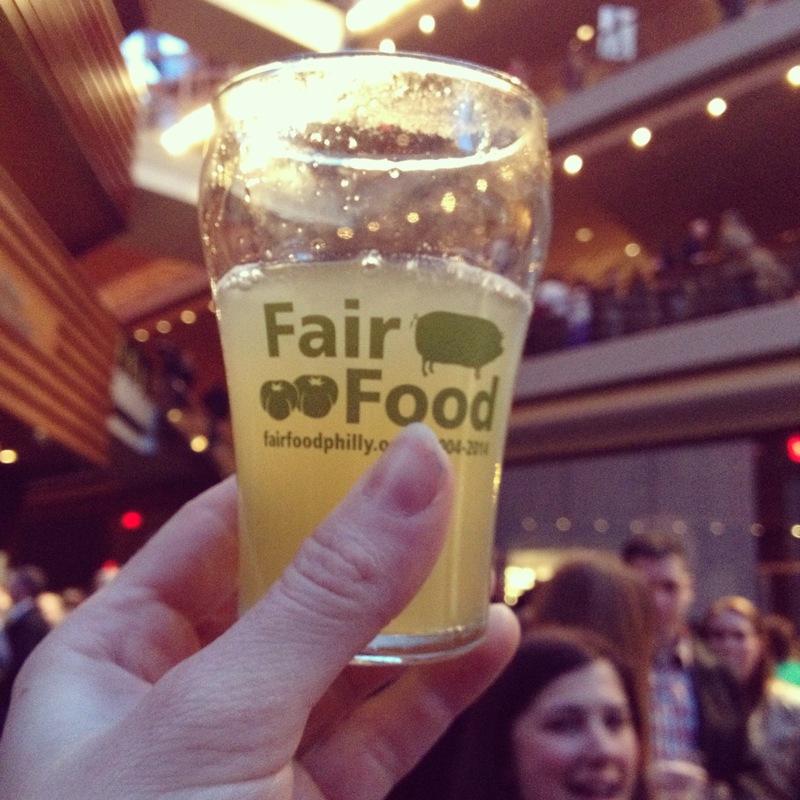 The Locavore Lounge emphasized small operations, primarily farms, dairies, and brewers found within 100 miles of Philadelephia. Cheese and fresh produce were abundant in the lounge, providing a break from the restaurant fare found on the other levels. 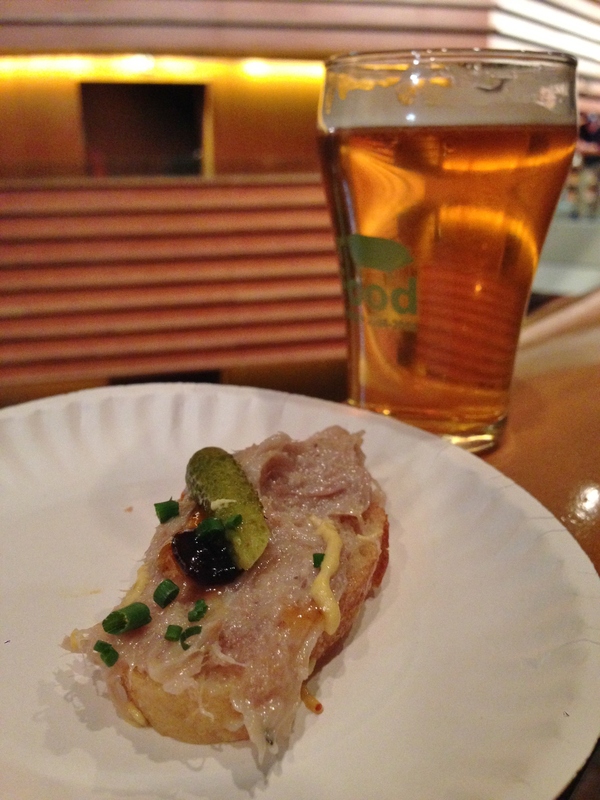 Victory paired their DIPA Dirt Wolf with pork rillettes topped with a cornichon, mustard, and scallions. 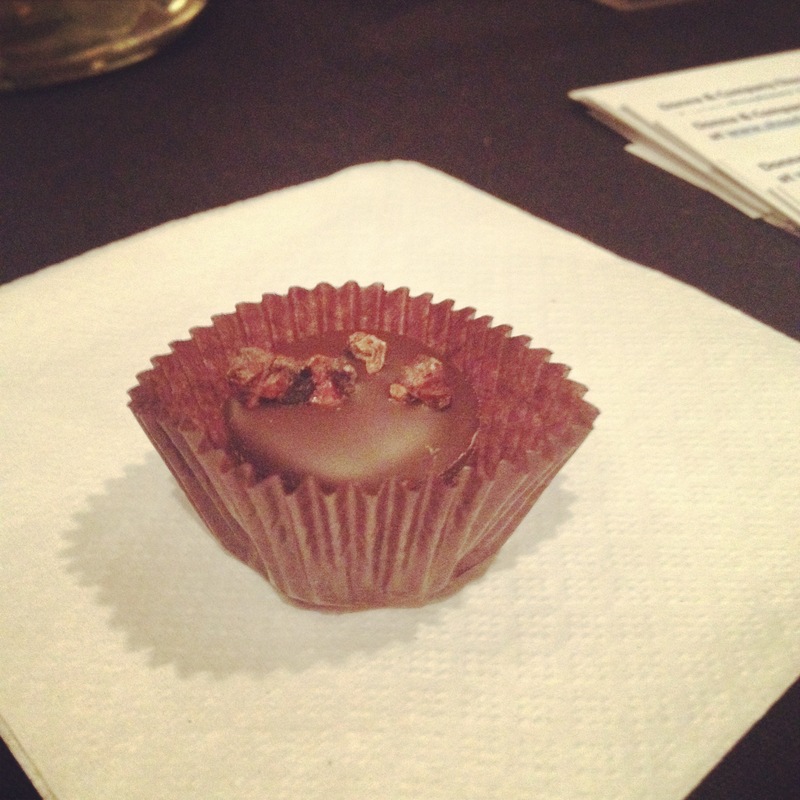 Donna & Co.’s dark chocolate caramel ganache contained New Jersey honey, balsamic vinegar, olive oil, and rosemary; no corn syrup here. 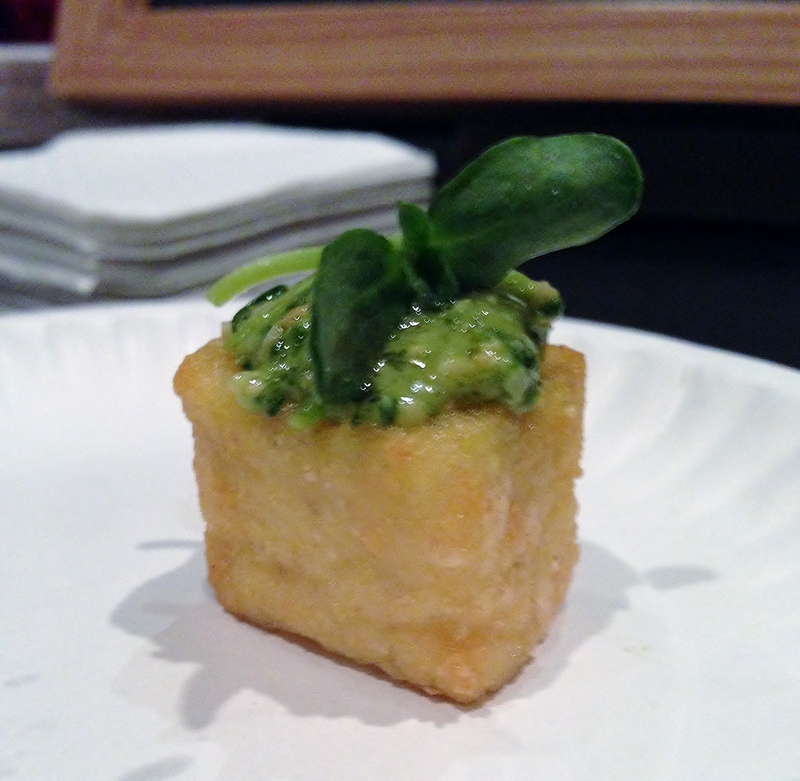 Alex Garfinkel Catering’s warm polenta with pickled mustard seed, carrot butter, micro greens, and sunflower shoot pesto. 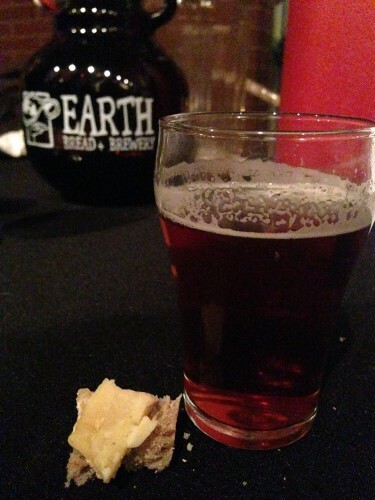 Earth, Bread, & Brewery ‘s Gale Warning, a hopless gruit ale, with cheese on whole grain bread. 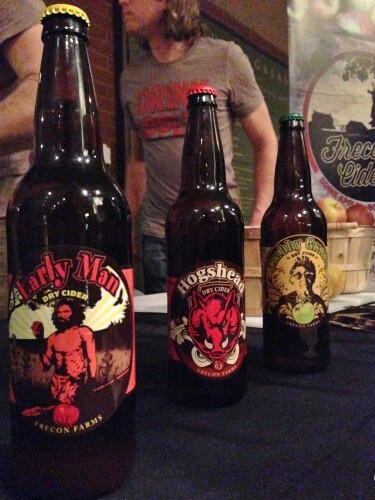 Frecon Farm’s hoppy Crabby Granny, dry medium bodied Hogshead, and light bodied Early Man cider. 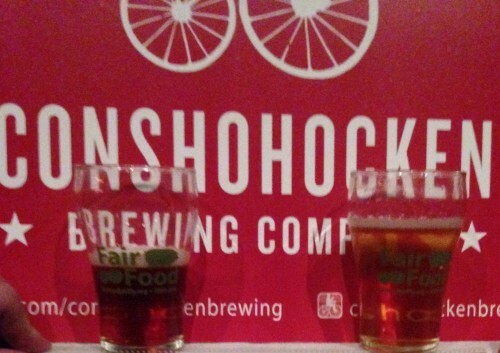 Conshohocken Brewing Company’s malty ESB and dry hopped pale ale. 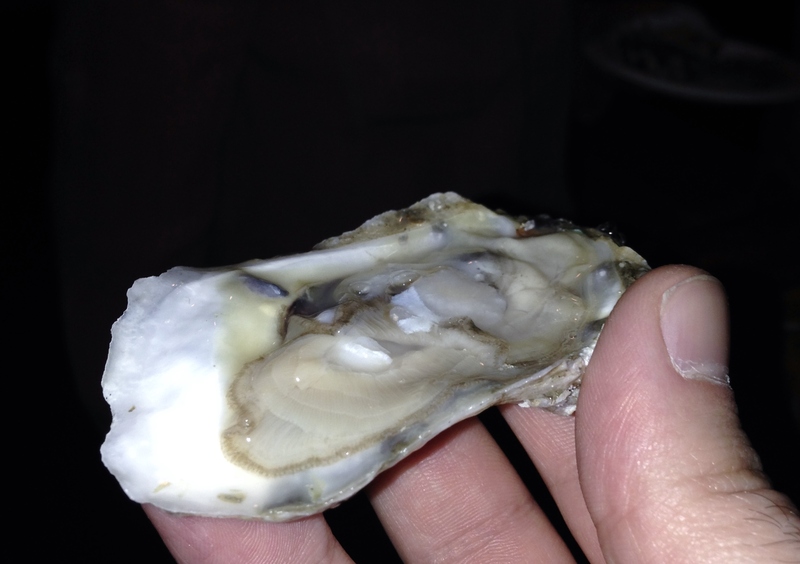 A Chesapeake Bay oyster from Choptank Oysters, picked at 10:30 that morning. 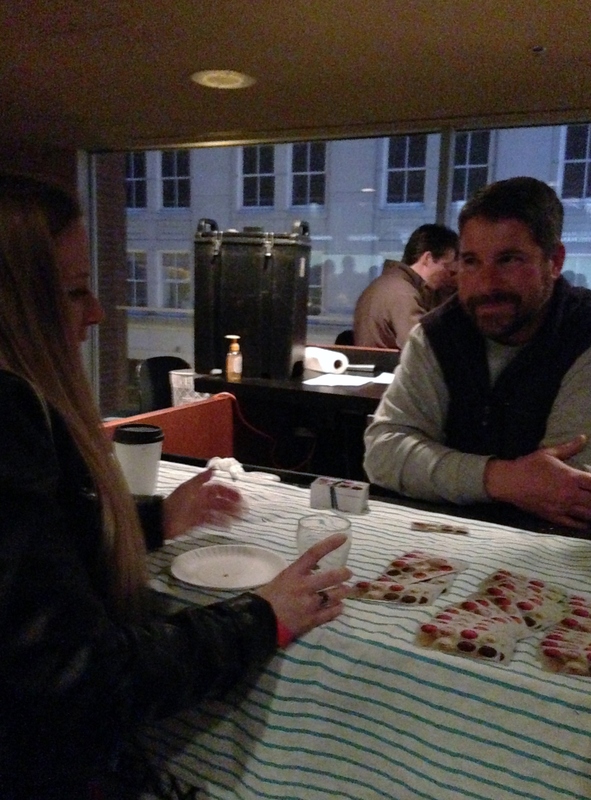 A lively conversation between Sarah and the owner of Choptank Oysters. 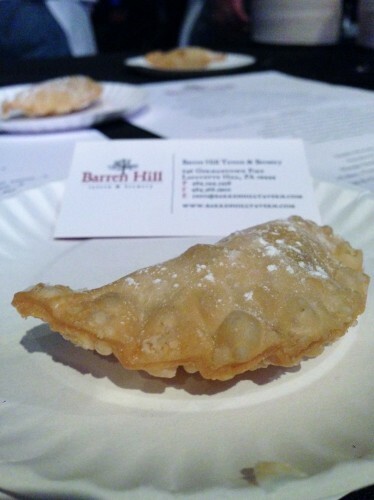 Barren Hill’s peanut butter and jelly, cream cheese, and quince paste empanadas. These were paired with their full-bodied, bready Biere de Garde, effectively forming a crispier and creamier peanut butter and jelly sandwich. 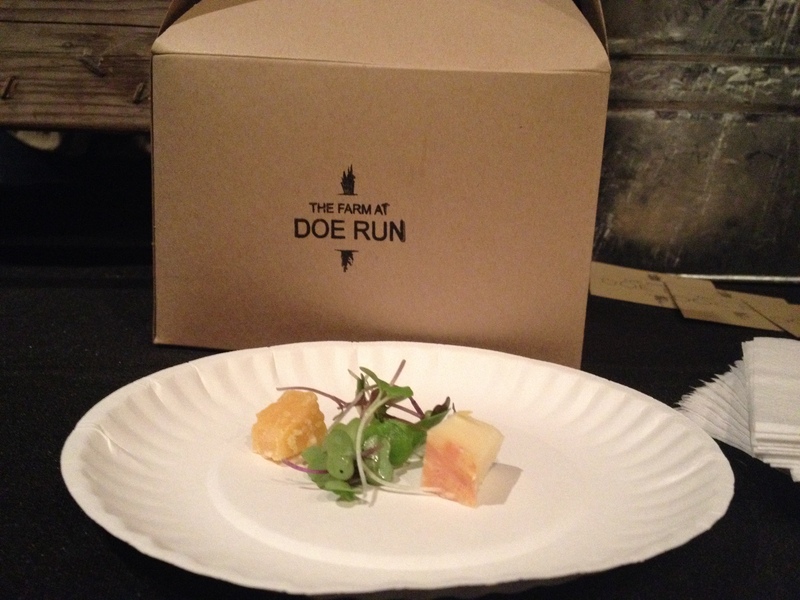 The Farm at Doe Run’s artisan Victory coated cheese plate. On the Main level, there were plenty of incredible pairings between restaurants from all over the city and regional breweries. Hoppin’ John provided energetic music for the event. 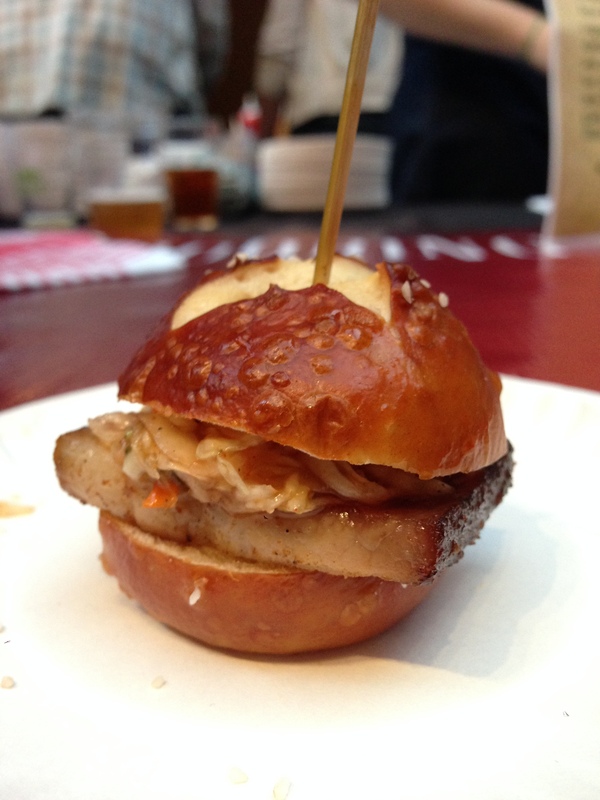 El Camino Real’s pork belly sliders with mango habanero slaw on a homemade pretzel bun. The fattiness of the pork belly worked with the sweetness of the mango to mitigate the heat of the habanero. Weyerbacher’s citrusy Last Chance IPA provided complimented the slider’s rich taste. 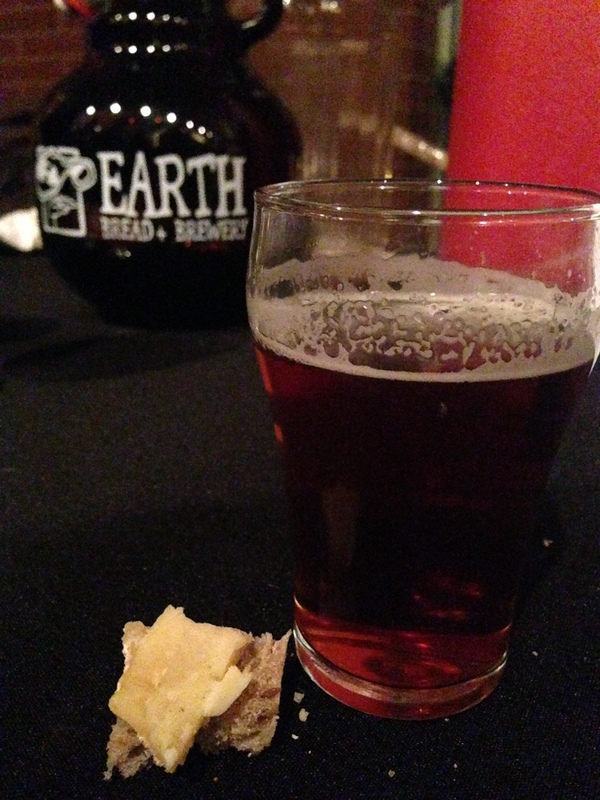 Tria’s blue cheese with balsamic reduction and pork terrine crostini were paired with Troegs’ hop-bomb Imperial Amber ale Nugget Nectar. 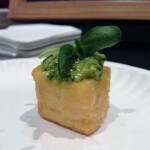 The sweetness and sharpness of the blue cheese was balanced by the hoppiness of Nugget Nectar. 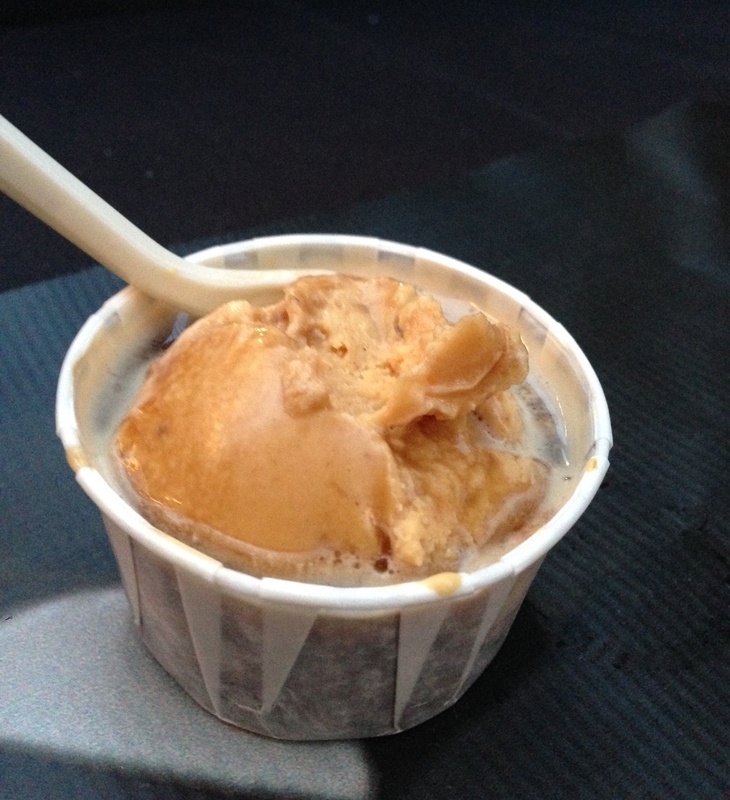 Franklin Fountain’s vegan coconut-based pumpkin ice cream with Vault Brewing’s Oatmeal Stout on Nitro. 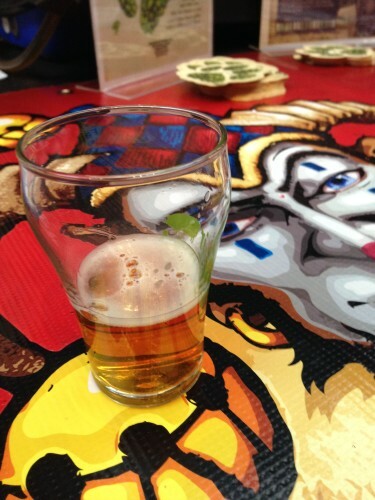 While alone they could hold their own, these two worked better together in a float. 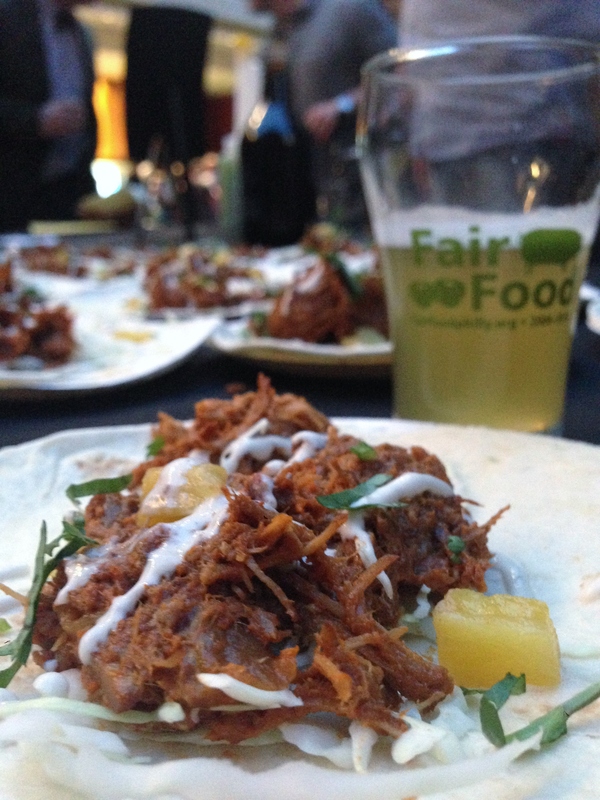 Iron Hill Brewery’s Al Pastor Tacos with a light cucumber laced Kolsch. 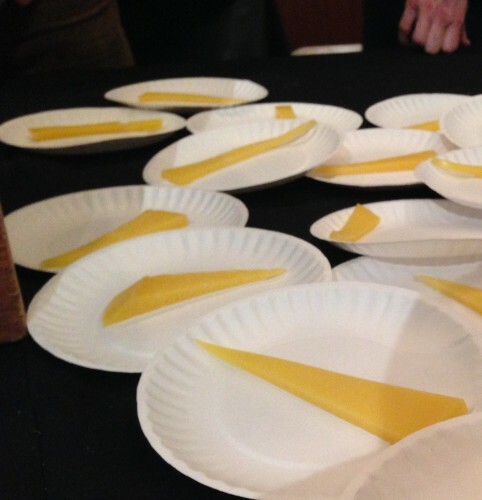 Cherry Grove Farm’s raw milk Rosedale cheese. 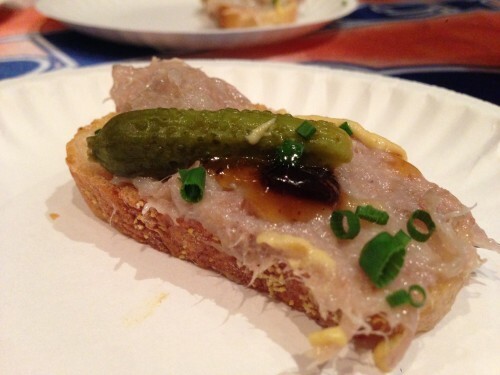 Like Jarlsberg, but with terroir and a sharper finish. 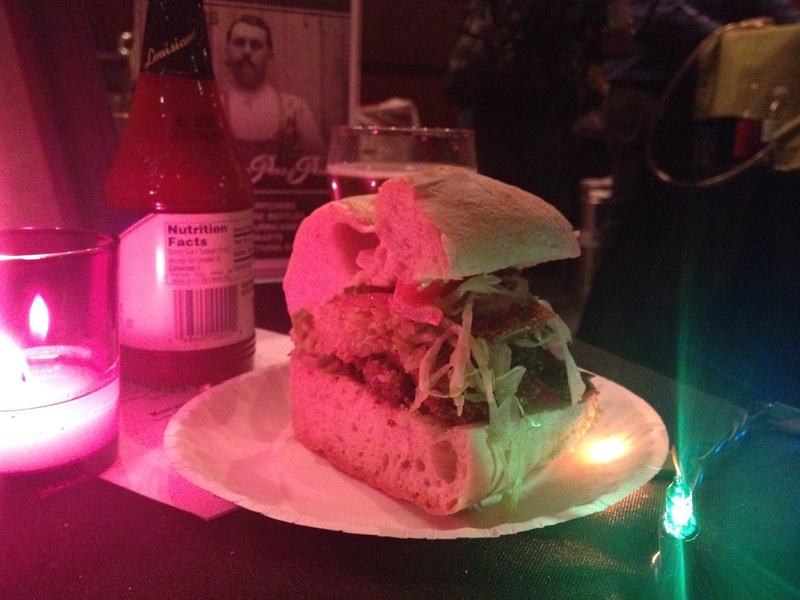 The Abbaye’s seitan sliders, with whiskey jalapeno relish and sharp provolone. 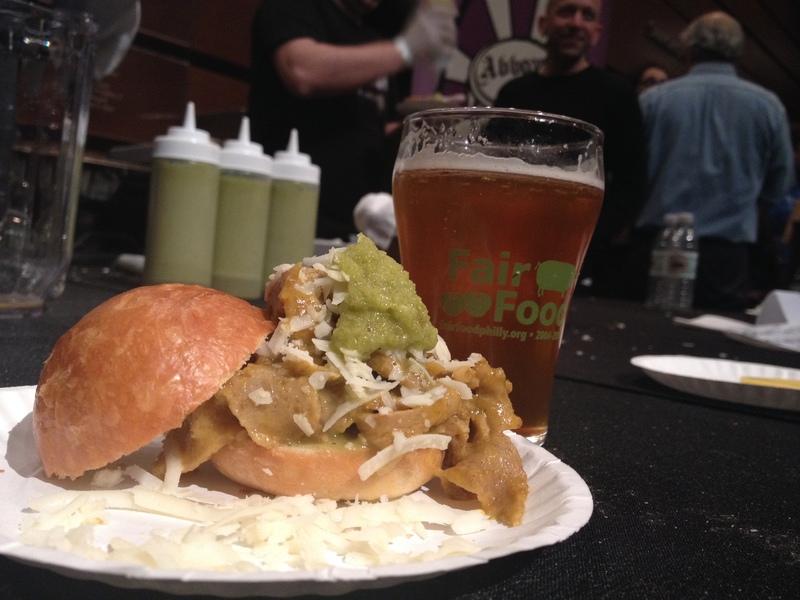 Paired with Prism Brewery’s Shady Blonde Ale, the seitan sliders were among the best vegetarian fare tasted. Khyber Pass Pub’s vegan fried chicken po’ boy and roast beef po’ boy. 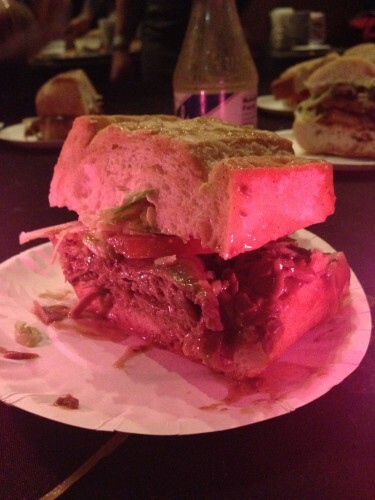 The Vegan Fried chicken was crispy and the roast beef, even with the airy absorbent roll, was dripping with juice. 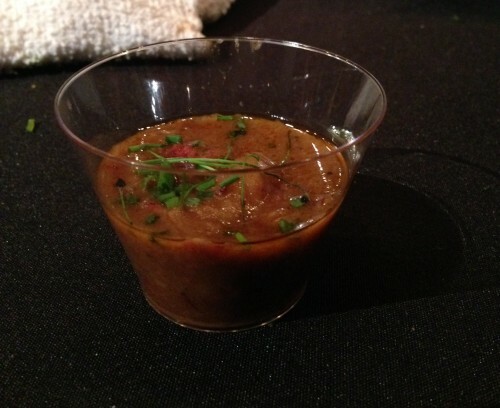 Varga Bar’s braised shortrib and root vegetable stew, featuring rutabaga, parsnip, and turnip. A hearty break from the many sandwiches. 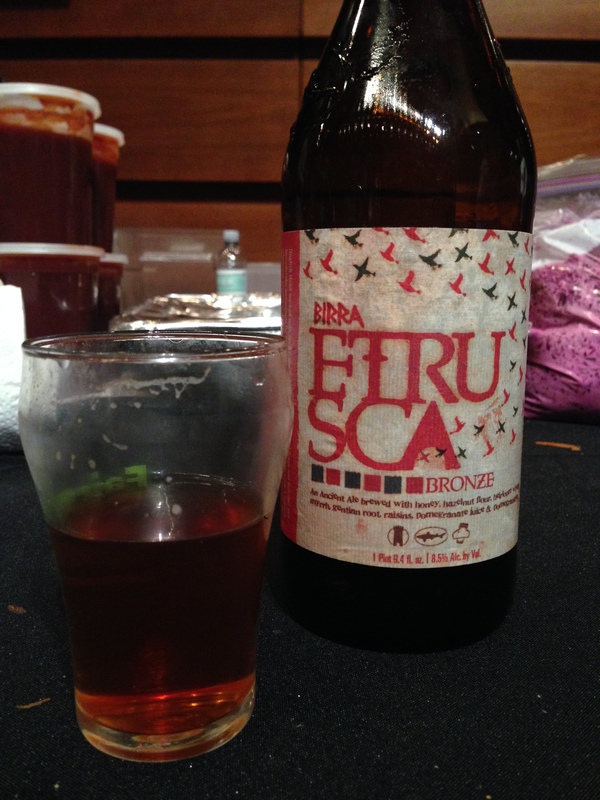 Dogfish Head’s Birra Etrusca, a light, complex, and flavorful ancient ale. White Dog Cafe offered BBQ pulled pork and red radish slaw, minus the brioche bun. 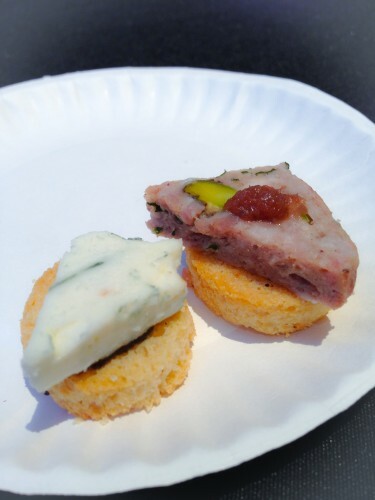 The pork was melt-in-your-mouth soft and did not have a strong vinegar taste, while the slaw provided a crisp, slightly creamy complement. 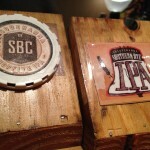 Susquehana Brewing Company’s selection on draft. 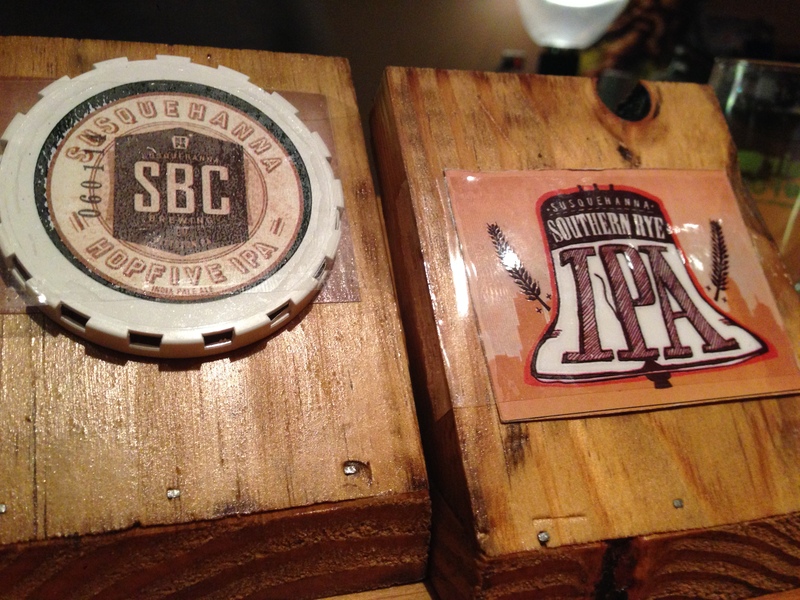 The RyePA was medium bodied and well balanced. 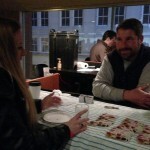 The event was filling and memorable, featuring in depth converstions with passionate and knowledgeable individuals. 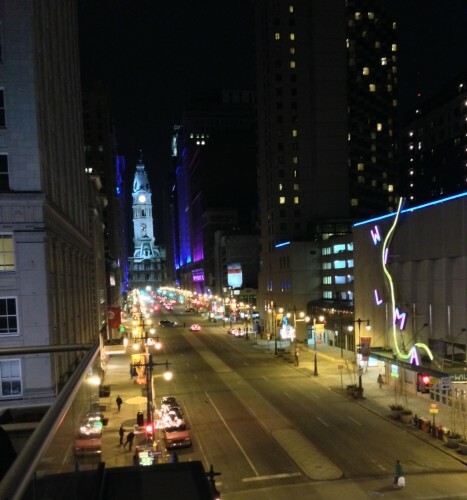 It ended appropriately with a beautiful nighttime view of City Hall and the bronze statue of William Penn, the man who founded this diverse and food-loving city from the 3rd floor balcony.